Chocolate and coffee are foods without which we could not live. However, these and other nutrients can be toxic to our pets, even when eaten in smaller quantities than what we humans consume. Many of us cannot start a new day without having had our morning cup of coffee. However, coffee and other foods that we eat regularly can be toxic to cats and dogs when eaten in much smaller quantities than those which could harm people. Coffee, as with tea or cola, contains high levels of caffeine. If a dog or cat ingested this in large quantities, it could produce symptoms of poisoning, such as nervousness, hyperactivity, increase in palpitations and, in the worst case, collapse or death. 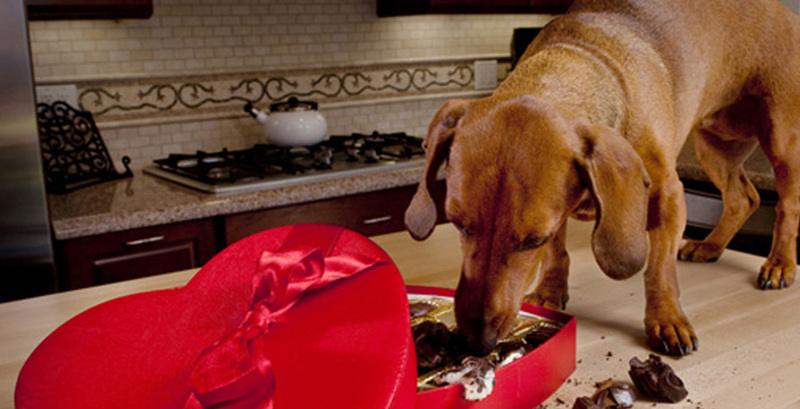 Chocolate is another food that can be harmful to cats and dogs due to its content of theobromine, a compound that can be poisonous even to humans if enough is eaten. However, for dogs it is usually three times as poisonous and for cats 6 times more. Theobromine content is much higher in dark chocolate than in milk chocolate. Therefore, it would be enough for a dog weighing about 20 kg to take about 25 grams of dark chocolate to start showing some signs of intoxication. However, to show severe symptoms, it should eat more than 200 grams of chocolate. Symptoms include vomiting, diarrhoea or hyperactivity, and they may lead to an increased heartbeat, muscle tremors or excessive panting and even death. Another food that should not be part of the diet of cats and dogs is onions, because they contain sulphuric substances that can damage red blood cells and cause anaemia. 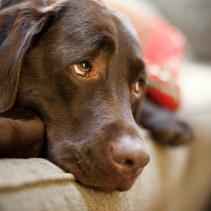 110 g of dried onion is a sufficient quantity to be poisonous to a dog of 20 kg. You should also prevent your dog from eating grapes or raisins, as a toxin it contains can cause vomiting and other kidney symptoms. And, even if you think that giving them raw meat can be a feast, you should also avoid it, as it may contain bacteria like Salmonella or E. coli that can cause vomiting and diarrhoea. 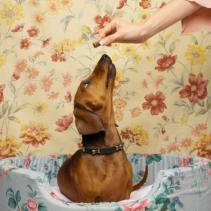 Without ringing alarm bells, it is important to take note of all the foods that your cat or dog should avoid eating. And do not forget that the food you give it every day gives it all the nutrients it needs to grow healthy.